My experience with concealers has never been great. I've never found one that's really wowed me. I think its because my skin is so dry that they always flake and crease and just generally look awful, especially around the eyes. My brother bought me 5 Benefit products for Christmas (I know, right? Totally spoilt), and the Fake Up Hydrating Crease Control Concealer in 01 Light was one of them. 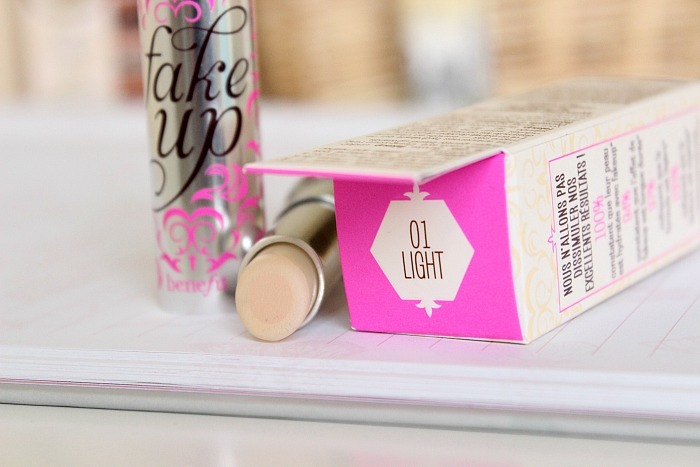 I'd heard of Fake Up but I thought it was just another boring concealer until I opened it. It's so different to your regular concealer. I'd certainly never seen a product like it before, so I was excited to give it a go. This crease control hydrating formula - with vitamin E and apple seed extract - boosts hydration, hides dark circles and diffuses fine lines. Get the smoothest, most natural look... or refresh your favourite concealer by layering fakeup on top. It never settles and neither should you! Firstly, the packaging. Can we take a moment? How pretty? I love the sleekness of it and find the pink really compliments the silver. Anyway, what makes this different from other concealers out there is that it's essentially a 2 in 1 product. The outer (clear) part is like a hydrating balm which contains Vitamin E and Apple Seed extract to help hydrate and brighten dull skin, whilst the inner part is the concealing pigment which obviously aims to conceal any dark circles, blemishes etc, and even brighten if you get a lighter shade than your skin tone (which I have). 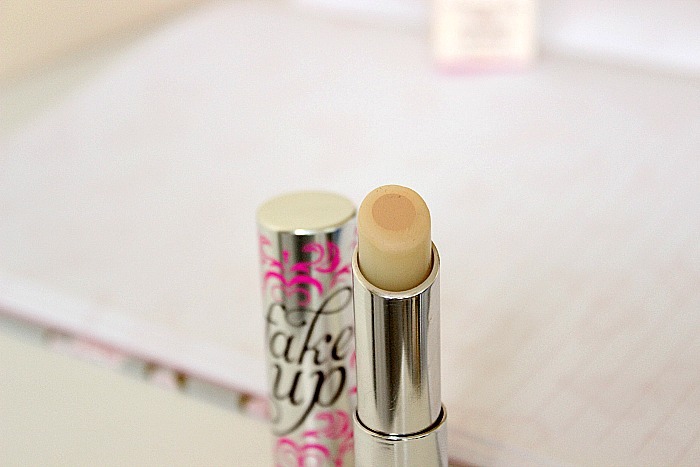 This is the most hydrating concealer I've ever used. At first I found it really strange because of how easily it slides onto the skin in an almost slip slidey manner. I find it fantastic to use under the eyes to conceal any dark circles if I'm particularly tired (which is often at the moment with a newborn). For covering blemishes I only find it ok. I prefer to dot another concealer over them first to hide any redness as it's a little bit too sheer for that, then like to go over the top with this for extra hydration and to stop it from creasing. All in all, another excellent product from Benefit. Seriously, can they do no wrong? I'd say this is definitely more for the normal to drier skinned gals out there, as I'm not sure how this would be on an oily skintype. 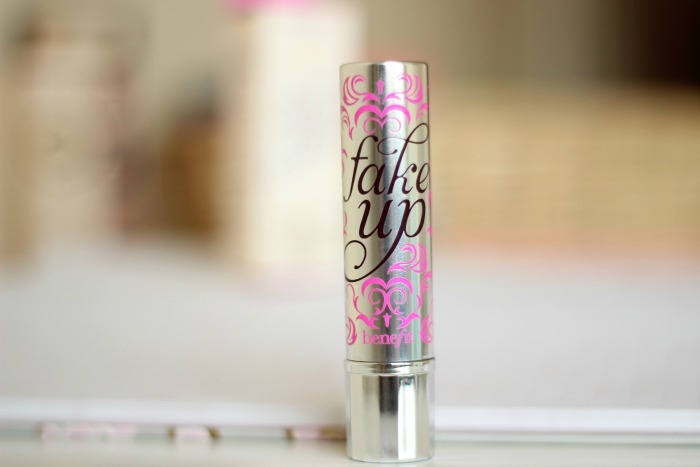 Have you tried Fake Up?